TILDA's Research Team presented their work to the Scientific Advisory Board and other esteemed visitors over a two day period. 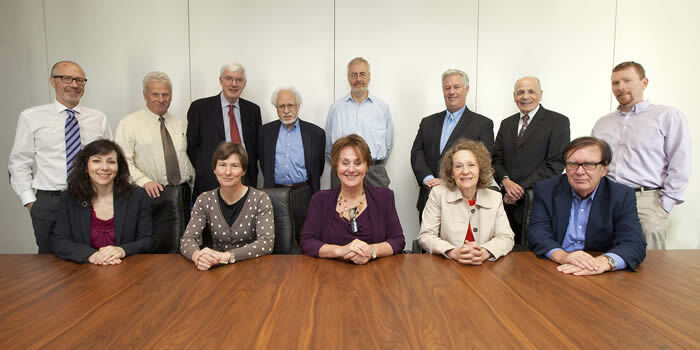 Our vistors gave invaluable advice regarding the future of TILDA and ageing research more generally. Pictured above in the front row left to right: Stacey Landau (University of Chicago), Carol Brayne (University of Cambridge), Rose Anne Kenny (Trinity College Dublin), Carol Ryff (University of Wisconsin) , James Smith (RAND). In the back row left to right are: Ian Young (QUB), Finbarr Martin (British Geriatric Society), Robert Clarke (University of Oxford), Richard Suzman (National Institute on Aging), Charles Normand (Trinity College Dublin), David Weir (University of Michigan), John Henretta (University of Florida), John Phillips (National Institute on Aging).